Our goal is to get you your item(s) as fast as we can 365 days a year. Most of our items are available on fast dispatch for next day or 48 hour delivery. Some items are on slightly longer lead time as they are sourced direct from our suppliers, please check the delivery messaging carefully, any questions or requests please contact us. Each day we automatically upload all tracking information directly into your order - please check you MY eBay tracking details for your own unique number. CloudSeller offers the largest range of products available for the home and garden across eBay in number of different categories, due to this we use different carriers to deliver our items to ensure we can continue to offer free delivery across all product lines. Which carrier has your order been sent with? 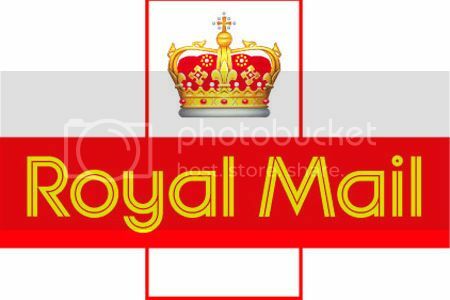 Orders sent via Royal Mail (Royalmail1) are either sent via First or Second Class. First class orders we would expect to arrive in 1-2 working days. Second class orders we would expect to arrive 2-5 working days. Please note this service is not tracked, if your parcel has not arrived in the estimated time frame please contact us. To Track your parcel simply enter your tracking number and delivery postcode. You can collect Yodel Parcels from the nearest Depot. You can do this by using the yodel website or calling 0871 977 0810. Find your local Nightfreight Depot Here! Panther help us to deliver larger items and also offer a 2 man delivery service. Panther orders carry no tracking information - This is why your order is left blank. Deliveries can be made anytime between 9am and 7pm. Unfortunately we are unable to give a specific delivery time (at the moment). Please call our team on the day of your expected delivery and we can usually access job rounds for our carriers and advise either and AM or PM estimated slot for that day. CloudSeller is aware this can cause some issues and we are working on a solution. Please be aware that most items will be delivered by a one man delivery company. This means the delivery company can only deliver your ordered items to the front door of the designated delivery address. Unfortunately if you reside in an apartment or a block of flats the delivery driver will deliver to the lobby of the building only as the delivery driver is not insured to enter private premises. Therefore please be aware that if you purchase a product on next day delivery and require assistance with the positioning of the product you must arrange the assistance yourself. CloudSeller currently only ships to the UK Mainland including Scotland and Wales. We do not currently ship furniture to certain islands, highlands, europe or the rest of the world. To find out if we can ship to your address email the team your address and postcode for a quote. We are unable to ship items to the following postcodes (sorry for any inconvenience caused): BT (Northern Ireland), GY (Guernsey), JE (Jersey), TR21-25 (Scilly Isles), IM1-9 (Isle of Man), IW (IOW, some smaller items still deliverable but not most furniture - please call for details), ZE (Shetlands), KW, HS, IV3-5, KA27, KA28, PA20-78 and PH31-44. We can ship to the following postcode ranges but on an extended delivery scale of 3-5 days: AB31-38, AB41-56, FK19-21, IV1, PH9, PH15-30. Deliveries are made by either a one or two man delivery service. If you reside in an apartment or a block of flats, the delivery driver will ONLY deliver to the lobby of the building (Sorry for any inconvenience caused). If you are placing an order for a sofa, bed, garden furniture or any large item, please make sure you have others available to help you place and locate the item in a room of choice, we cannot always assist you at this time with this. Top Tips & Customer Feedback - We wanted to share with you. CloudSeller always learns and listens to its customers. We take all feedback seriously and try where possible to share anything we have learned from our buyers. We hope these past experiences and buyer advice can help you. 1. Do not throw out or get rid of your old and unwanted furniture until your order has arrived, been checked and you are completely happy with the items ordered. Sometimes items ordered are the wrong size, color or you have simply changed your mind and want something else. 2. Always make sure you have made delivery arrangements. Make sure someone is going to be at home to take delivery of the item / can wait in for the courier to arrive. Please note at the moment our drivers can’t always deliver goods to the room of your choice. Please have someone on hand to help you and others with larger items. Cloud Seller advises customers to be vigilant when receiving and signing for goods (especially furniture) larger items do have more of a tendency to get damaged in transit - please check all items carefully. On delivery inspect the packaging for damage immediately upon receipt. If there is any doubt please sign for the goods as "damaged". Please check all goods that are delivered to you and only sign for the items you have received. We cannot be held liable for missing goods that have been signed for. All orders must be checked at the time of delivery and if you feel there may be any damages to your order please sign for this as damaged. We will replace any missing or broken parts where possible. Please note that unwanted mattresses cannot be returned once opened for hygiene reasons, scuffed or dirty mattresses will be swapped and replaced if required. We reserve the right to send any returned mattresses back to you if we believe they have been opened and/or used. Some mattresses - namely memory foam mattresses - will arrive vacuum packed, please do not open and unroll to inspect if the goods are incorrect. Mattresses and the product ordered can be easily inspected and identified on the packaging, if you are not sure please check or contact us regarding a potentially mis-picked item. Some foam mattresses can also carry a slightly chemical odour once opened, this odour should disappear after 24-72 hours, so please do not worry.